Most soffit vents are made of plastic or aluminum. 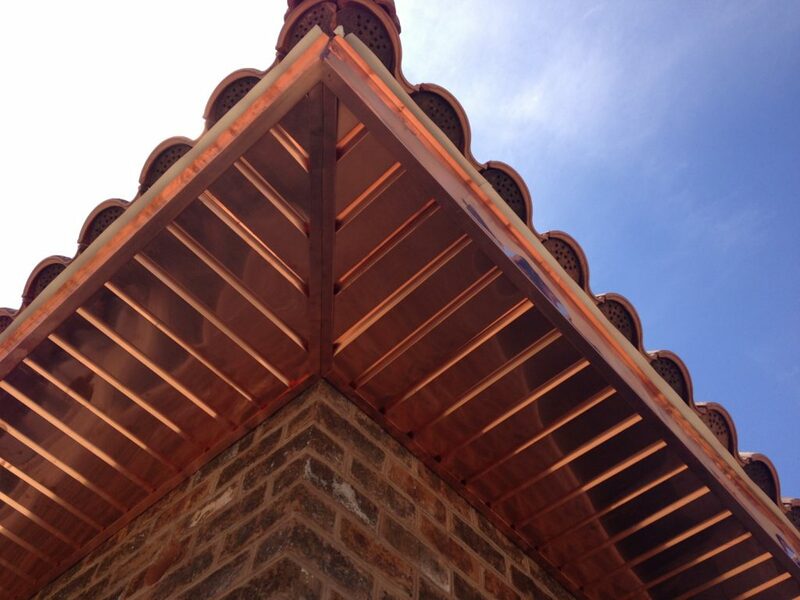 Using a copper soffit vent can increase the value of your home just by its appearance. There are many different styles of copepr soffit vents including round, rectangular, and square ventilation grids. They are usually pre-manufactured in a variety of sizes from 3″ to 8″ round, and up to 9″ x 9″ square. 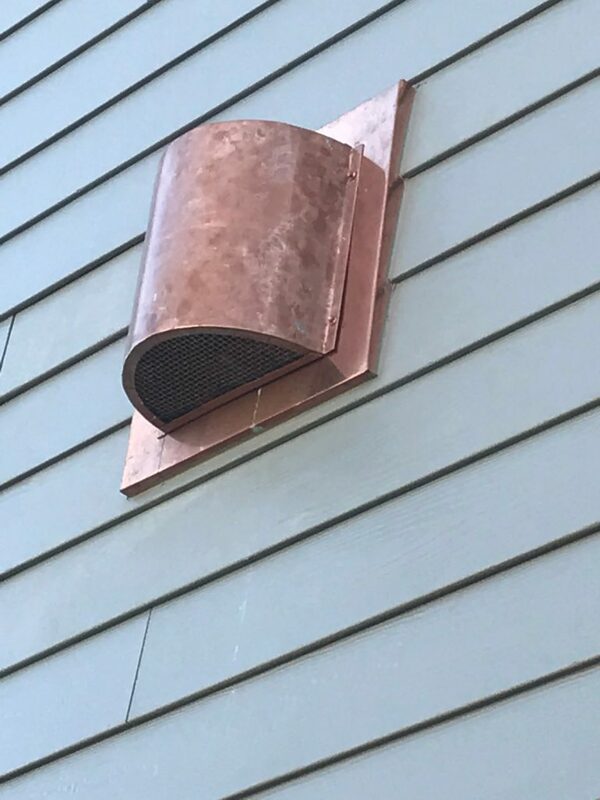 If a standard copper soffit vent doesn’t fit your application another option is to use a custom made copper foundation vent. These vents can be made in a variety of sizes by any metal shop. They can be made with different mounting styles, however if you are using it as a soffit you would probably want a surface mount type of application which would include a frame around the vent. If you can use the standard sizes that are available then these vents can be an inexpensive and great way to improve the asthetics of your home.